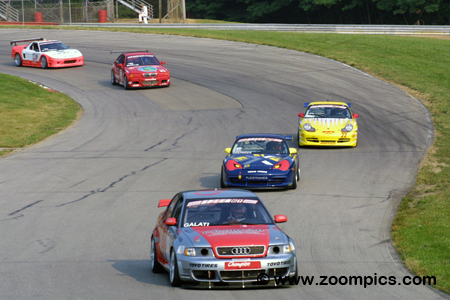 The SCCA Pro Racing Speed World Challenge series returned to the Mid-Ohio Sports Car Course after a two-year absence. Twenty-three Grand Touring drivers would compete on the thirteen-turn 2.258-mile road course for fifty-minutes. The first lap through Mid-Ohio’s ‘Esses’ for the Speed World Challenge GT competitors and the pole-sitter, Michael Galati leads the field. Following Galati is the other front row starter, Johannes van Overbeek driving the G&W Motorsports prepared Porsche 911 GT3 Cup. 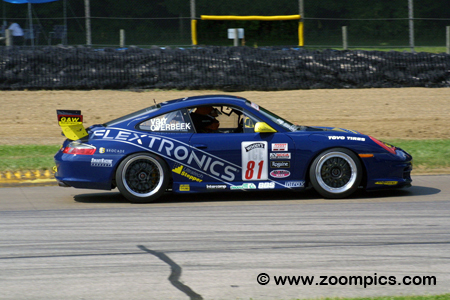 Behind van Overbeek, is the Porsche of Randy Pobst, Jeff McMillin in a BMW M3 and championship contender, Peter Cunningham driving an Acura NSX. 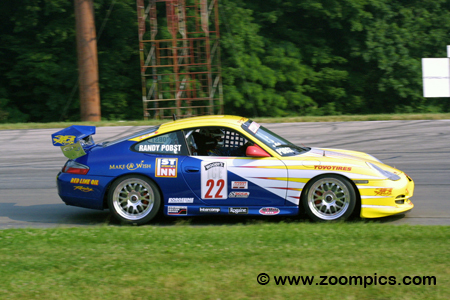 At Mid-Ohio, Michael Galati driving the No. 1 Audi S4 Competition earned his third pole position of the season. When the starting lights turned off, Galati pulled away from the field thanks to the Audi’s all-wheel-drive system. By the tenth circuit, Johannes van Overbeek and Randy Pobst were on his bumper, and his brake pedal had gone soft. A caution period allowed Galati’s brakes to cool and despite the pressure, he held on for the victory. Qualifying second for round four of the SCCA Pro Racing Speed World Challenge GT championship was Johannes van Overbeek. Van Overbeek was driving the No. 81 G&W Motorsports prepared Porsche 911 GT3 Cup. Taking advantage of the all-wheel-drive, the pole sitter, Michael Galati pulled away from van Overbeek at the start. During the next 17-laps, he reeled in Galati but was unable to make the pass and settled for the runner-up spot. 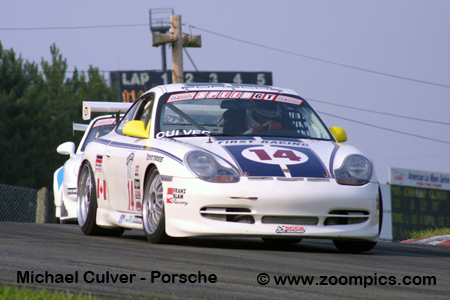 Prior to round three at Lime Rock Park, the 3R Racing Team recruited multi-time champion and Porsche factory driver Randy Pobst to drive a second Porsche 911 GT3 Cup in the 2002 World Challenge series. Pobst immediately made his presence felt with a victory in his first outing. 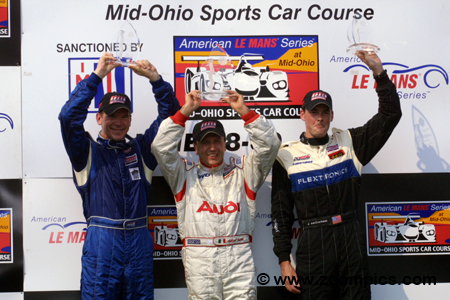 At Mid-Ohio, he qualified third and chased Michael Galati and Johannes van Overbeek during the race. Unable to pass them, Pobst finished third. 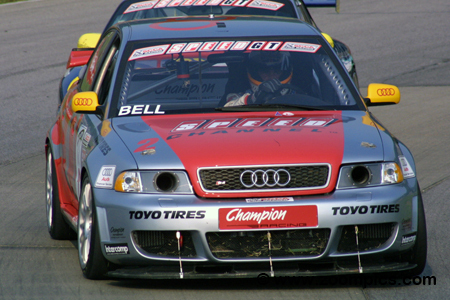 This season, 2000 SCCA Pro Racing Speed World Challenge GT champion, Jeff McMillin was producing the same results that won him his title. McMillin was yet to win a series race but he often finished inside the top-five. This year McMillin had two podiums and was third in the title chase. The driver of the No. 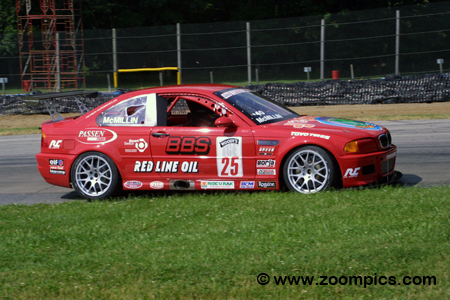 25 McMillin Motorsports prepared BMW M3 started fourth and after a battle with Peter Cunningham, he was fourth at the checker. In was a miserable weekend for RealTime Racing’s, Peter Cunningham. To date, the former series champion had two runner-up finishes (Sebring and Mosport) and was in the championship hunt. Cunningham, driving the No. 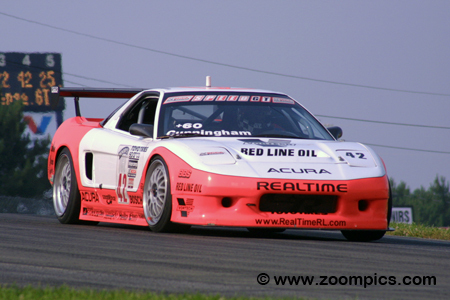 42 Acura NSX SC, qualified fifth quickest at the Mid-Ohio Sports Car Course. During the race, he lost positions to Jeff McMillin, Derek Bell and Justin Marks and finished seventh but was still second in the standings. In the center and victorious for the second time this season is the driver of the No. 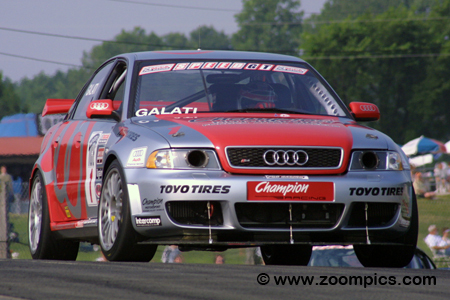 1 Audi S4 Competition, Michael Galati. Standing on the right side is the runner-up, Johannes van Overbeek – this was van Overbeek’s third podium finish this year (third at Mosport International Raceway and second at Lime Rock Park). Completing the rostrum is Randy Pobst, the winner of the last round at Lime Rock Park.